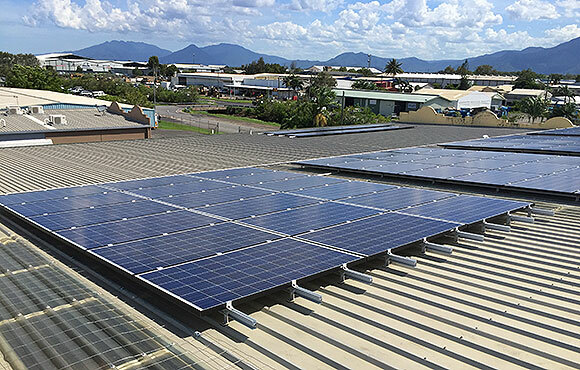 Cairns commercial solar power specialists are Replenishable Energy, who create customised solar solutions for businesses large and small, ranging from 10kW TO 100kW. You can rely on our experience and expertise when it comes to the solar industry, council applications, power purchase agreements (PPA) and Large-scale Generation Certificates (LGC). We operate in accordance with solar industry best practice and are a Clean Energy Council Approved Solar Retailer. 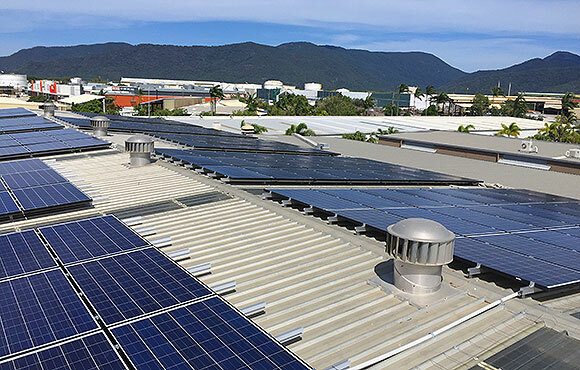 We are committed to providing outstanding commercial solar services to Cairns businesses. We make it easy, affordable and cost effective, delivering our Cairns commercial solar services in a simple, step by step process. 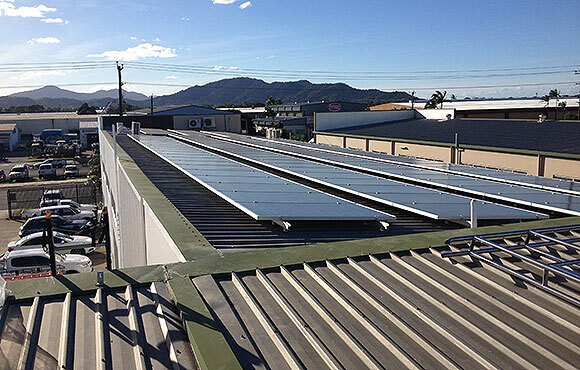 Our systems and installation are covered by a minimum warranty period of 5 years and we’re proud to service customers across the city and surrounding regions, including the Tablelands, Port Douglas and Cassowary Coast. Call for a free quote on (07) 4031 2251 / 1300 682 773. We look at your roof, learn about your energy needs and evaluate your consumption trends. We design all elements to prepare a comprehensive quote, taking all and any government rebates into consideration. Once the quote is finalized, we arrange a suitable time to install your new solar system. Warranty on all jobs. Customised Cairns commercial solar solutions deliver the best results. Why? Every business has different energy consumption needs and requirements. Equally, every business has a different objective and goal in mind, when sourcing solar power for their premises. Then of course there’s the individual roofs, aspects and shading. In commercial solar situations, one size does not fit all. Replenishable Energy are the commercial solar specialists, using the best products and services to deliver superior solar results. We will reduce your carbon footprint and your power bills, while increasing your green power and sustainability. When you choose Replenishable Energy as your preferred Cairns commercial solar system provider, you will receive detailed information on the process between system installation and network connection and can have total peace of mind that we adhere to all relevant legislation and regulations. To book an obligation free assessment of your commercial solar power requirements, call us today on (07) 4031 2251 / 1300 682 773. 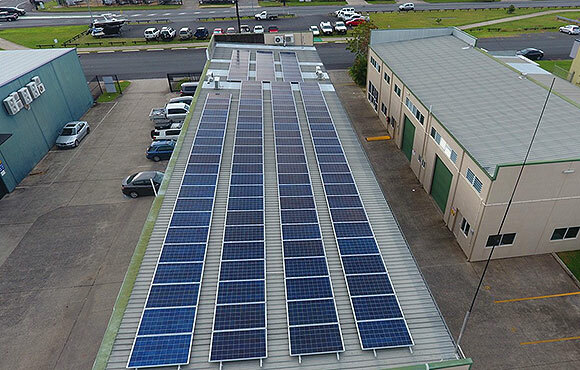 Investing in a Cairns commercial solar system is one way your business can make a commitment to the future of our environment and World Heritage region. As well as reducing your carbon footprint, a commercial solar system will also reduce your power bills, which is a win-win in every business sense. Our customers represent businesses large and small and encompass a diverse range of industries, including but not limited to, tourism operators, retail outlets, commercial warehouses, tradespeople and more. Investing in solar, is investing in the future, for business and the environment. Zenith Pacific are like many other Cairns businesses; they wanted to reduce their power bills. Replenishable Energy are proud to have designed and installed a commercial solar system to their Portsmith premises.